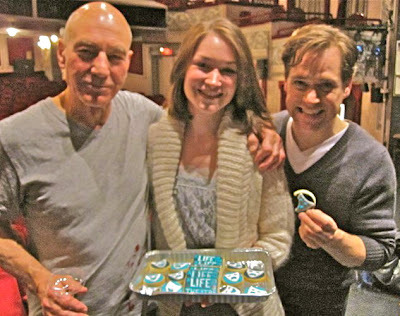 Sunday night marked the closing performance of A Life in the Theatre. Although it was sad to see it go prematurely, it was an amazing experience and an amazing night. As the PA, I only stayed with the show until it opened in October, so I hadn't been back to the theater in a while. I was able to watch the show from the audience for a change (quite a strange experience as I knew everything that was going on backstage). Before the show T.R. 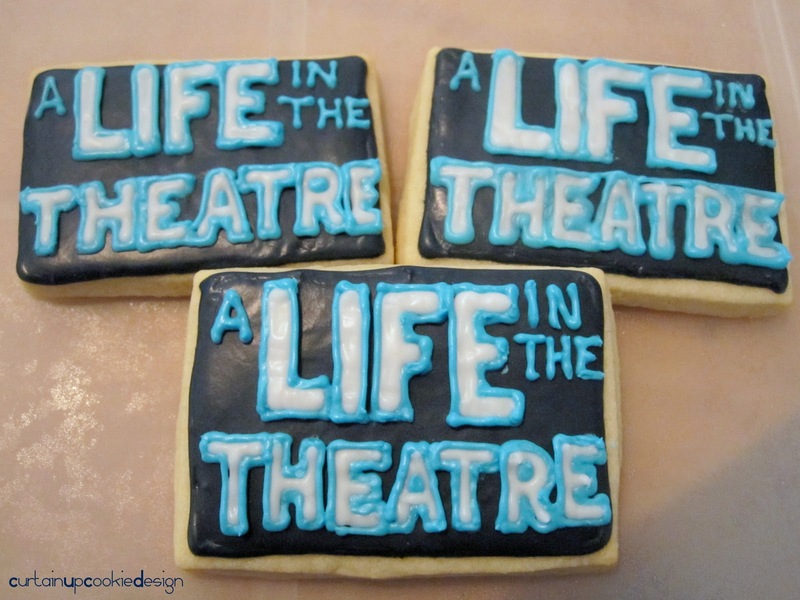 had asked me to come backstage during the curtain call, so after jumping to my feet for the boys at bows, I scooted off to the side and made my way backstage where the entire crew was piled in the wings, watching the closing night speech. Then, Patrick and T.R. brought the entire crew out on stage and we huddled into a line spanning the entire stage (It takes A LOT of people to put on a two-person show!). I looked down the line and felt a jolt of pride and joy to be included in this group of people. They were all so incredible to work with. Then, T.R. went down the line and introduced everyone individually and stated their job. "This is Catherine Lynch. She was our Production Assistant." And when he made it to the end of the line, the audience leapt to their feet. It was unreal to have a Broadway house cheering for us! 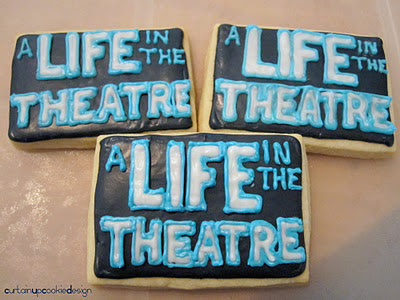 Once the curtain came down, we had a champagne toast on stage and it was time to bring out the cookies! 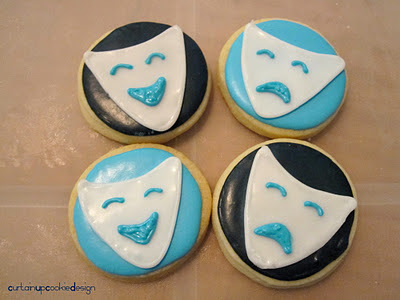 And they were a hit! There were quite a few people there who I had never seen before and even they came up to compliment me on them! I should have brought business cards! 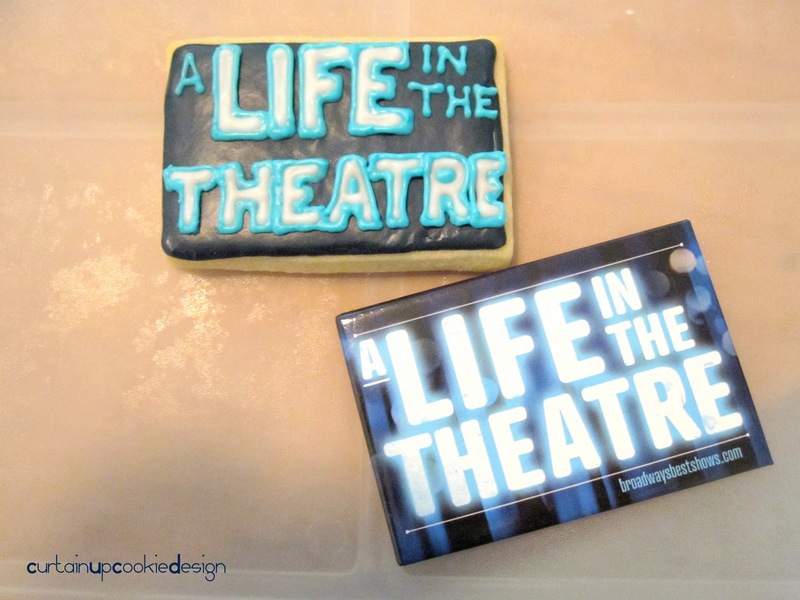 First Broadway endeavor for Curtain Up Cookie Design: Success! First Broadway show for me: Better than I ever could have asked for.